Everyone loves free apps, especially Android users (phones and tablets). While most of these apps are legitimate, the number of free Android apps that are actually malware keeps increasing. Android users are more at risk than iPhone and iPad users because the the Android market is much more open than Apple’s. This means more choices, but also more risk. 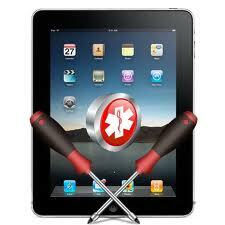 iPad Repair jobs are much more common in our shop than Android tablet repairs. While we replace 4-6 iPad screens per week, we may only see one Android per month! You may think this is because iPads are more popular, but this is only part of the story. Android has actually gained a lot of ground in terms of market share in the last year. The main reason is that Android tablets a much cheaper than iPad tablets, therefore may not be worth repairing versus replacing. They have become so cheap they have become “throwaway items”. When they break, people just get a new one. For example, the new Google Nexus 7 tablet sells for $229. The Kindle Fire is under $200. A full size 10.1″ Android tablet, like the Samsung Galaxy Tab 10.1, starts at only $350. By contrast, the iPad starts at around $500. The iPad Mini is around $330. iPad Repair is Always Worthwhile. The problem with tablet repairs, is that the amount of work and skill necessary to repair any type of tablet is the same. Therefore the repair cost is the same. The most common repair, a cracked tablet screen, typically costs around $200. Clearly, repairing an Android is not worth it, unless you bought a super high end unit. Even an iPad Mini repair is questionable. A full size iPad repair is the only one that’s worth it. On a side note, many Android tablets use the popular “Gorilla Glass” for their screens, which is very scratch and crack resistant. Some some silly reason, Apple refuses to use this stronger glass. In my mind, the Android is a better choice, given you get a more durable device for less money. If you’re unlucky enough to break it, you would end up buying a new, more modern unit for the same price the poor iPad owner pays for just a repair. If you ever need any type of iPad repair and you are in Tucson, come by our shop and we can help you out with our high quality repair work. Computers and Technology are Changing – And So Must Today’s Computer Repair Shops! iPads, iPhones and Android mobile devices are taking over the computing world. The computer repair business therefore, must also change. The typical PC repair shop can no longer survive unless it changes with the times. I’m surprised to see so many shops ignoring this trend and not adding this type of service to their business. Last updated by Steve Frantzis at March 10, 2016 .